My Easter started with a call to a client in Australia about a forthcoming project, in which we discussed the current London restaurant scene. It was a set of meals to follow over the long weekend that made me consider just how dynamic our dining scene really is. Dinners at the recently opened Leroy in Shoreditch and the tiny 15-cover Titu in Shepherd Market were both great examples of independent restaurant operators doing great things. Saturday lunch at Core by Clare Smyth – which deserves to get two Michelin stars this year – shows there’s still very much a time and place for fine dining, and a meal at Indian Accent in Mayfair reinforced the fact that London is still a hot spot for international operators. 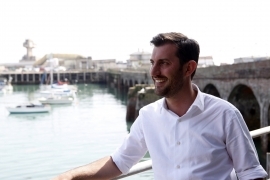 The ever-energetic chef Mark Sargeant has his next project underway; he’s taken on the catering operation at the Tower of London and – although it wasn’t the reason to hire him – his name is perfect for the historic building. Sargeant’s Mess, opening in May, will be an all-day restaurant, bar and deli concentrating on the modern British classics for which Sergeant is known, so expect kedgeree, fish and chips and tarts. The 85-cover main restaurant has 40 seats on a terrace overlooking the river, bound to be a hit with tourists, and the deli will serve the area’s humming office crowd too. A restaurant with four covers? We’re intrigued. 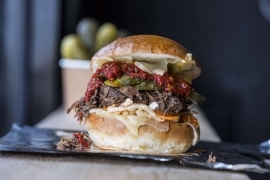 The Black Hamburg in Finsbury Park is a fun side-project by chefs Ian Macintosh and Michael Spurgeon and will serve just two regular dishes – hot sandwiches. There’s a smoky, spicy beef shin one, and a spicy Ogleshield and Keen’s cheesy one, with a few specials from time to time – everything’s carefully sourced and almost all the elements made in-house. What makes it particularly appealing is that it’ll be open from later this month from 4pm-midnight Wednesday-Saturday and for lunch on weekends, so it’s a great pit-stop for chefs. The White City outpost isn’t even open yet, and the cookbook is imminent, but Will Bowlby and Rik Campbell are already onto the next phase of Kricket – they’re going back to where it all began, in Brixton. But rather than a tiny shipping container in Pop Brixton, this time it’ll be a 40-seater restaurant on Atlantic Road with reservations and a separate bar. In fact, the Brixton branch will open in May, before Television Centre does. There are bound to be queues for the homecoming kings of modern Indian food. Meanwhile later this month 'unconventional Japanese robatayaki' arrives in London, when Inko Nito opens on Broadwick Street. Already a hit in LA, the brand will be operated here by Peter and Arjun Waney, who own Roka, Zuma, Coya and The Arts Club, among others. Restaurant Property secured them the site, which has space for 95 covers. CODE likes the sound of yellowtail collar with brown butter ponzu and lemon, washed down with a nori Old Fashioned cocktail. On Instagram all over the bank holiday weekend were pictures from the box-fresh Mare Street Market. After a raucous launch party, now the real fun begins with wines chosen by Ruth Spivey and cheeses from Holly Chaves for sale in the deli, and some appealing dishes from roast ham sandwiches to rhubarb crumble in The Open Kitchen. Gizzi Erskine, who overseeing all the food offerings on the Hackney site, will open the main restaurant , The Dining Room, in the near future. When Thomasina Miers and Laura Harper-Hinton set their minds to something, it really takes off (read about both of their latest projects in the current CODE Quarterly). Their Fork to Fork Festival, at the Ark Franklin in Kensal Rise, is set for another barnstorming year. The event, on 16 June, raises funds for an outdoor classroom at the primary school and many restaurants are involved, cooking on stalls – a great chance to try little dishes by big names. Tickets are on sale here. From May, Alain Roux is to be signature chef at a new, as-yet-unnamed new restaurant at The Balmoral in Edinburgh. 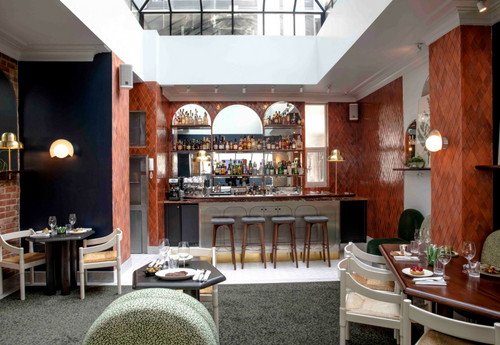 The Rocco Forte hotel, undergoing major refurbishment, has persuaded Roux, who has retained three Michelin stars at The Waterside Inn for more than 30 years, to bring his classic French cuisine to the brasserie-style space, which will have around 200 covers. And to help? 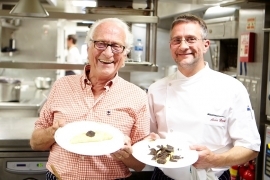 His father Michel Roux OBE – the pair will prepare dishes using the abundant Scottish produce. Meanwhile it might be safe to say we’ll still be writing about Niall Keating in 29 years. 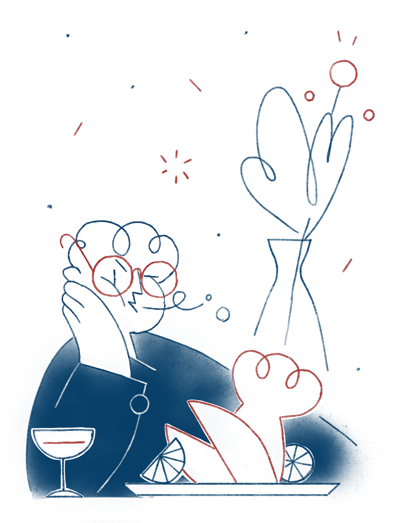 The chef won his first Michelin star last October, at just 26, and last week was given the Michelin Young Star award, beating four other young, starred chefs from across Europe. 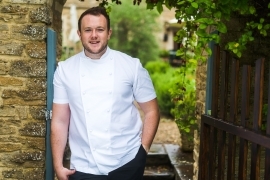 His menu at The Dining Room at Whatley Manor hotel has won widespread praise and the awards is the latest part of a strong career progression that (already) takes in Sat Bains, Benu and Kong Hans Kaelder. Combining the two stories above comes Martin Carabott, who beat other young chefs in another competition, this one judged by the Roux family… He has won the Roux Scholarship in its 35th year by cooking a exacting classic French dish for the judges (including the two Rouxs, Angela Hartnett, Simon Hulstone and Clare Smyth) and Carabott must be delighted, particularly after reaching the national finals in the previous two years. Londoners can see the winner in action when Hide opens imminently – Carabbott is senior sous at Ollie Dabbous’ new restaurant. 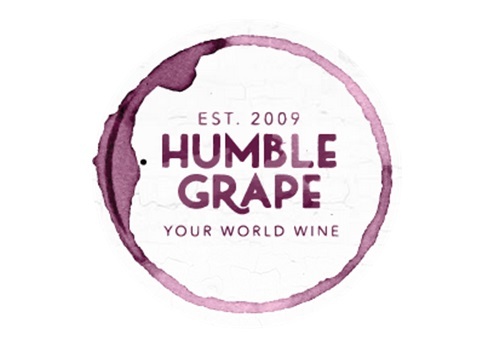 We are a fast-growing wine bar/restaurant brand, with a mission to make quality wine and great food socially inclusive to everyone. We currently have four sites in London: Battersea, Fleet Street, Islington and Liverpool St with plans for more in the pipeline. Our focus is on the customer and we love to share the stories behind our wines, food and the suppliers and winemakers we work with. This position is for Restaurant General Manager/Operations Manager at a new 80-cover bar and restaurant in central London. 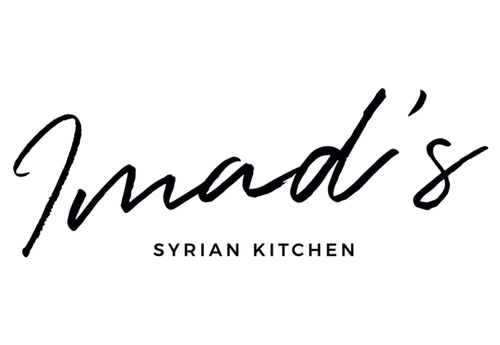 The concept offers cocktails, wine and mezze in the bar and serves modern Syrian plates in the upscale seated restaurant. There has been a significant high-profile media coverage surrounding this concept to date across print, broadcast and social media channels. 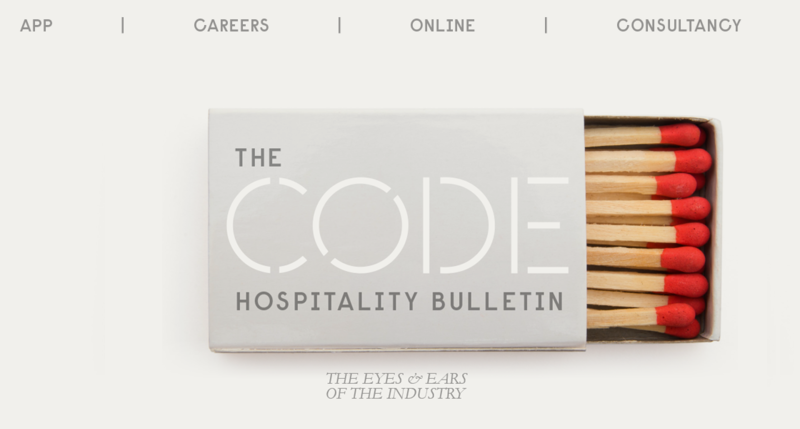 The GM/OM position is for someone looking to work at a restaurant with high public visibility and the potential to scale into a larger dining and lifestyle brand. The Dumbwaiter was slightly confused the other night while dining at Indian Accent in Mayfair. For a moment he thought former chef Sabrina Gidda had a twin, but it turns out the Bernardi’s head chef has switched roles and is now trying her hand as front of house, taking on the role as GM at the Indian restaurant. 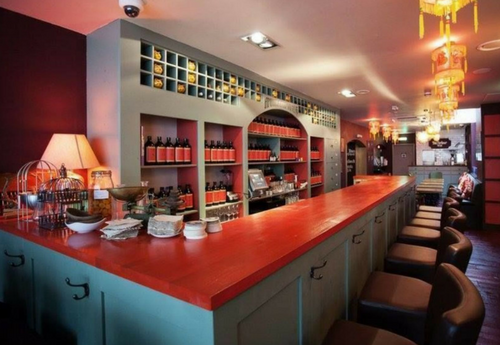 Flesh and Buns is opening a restaurant in Fitzrovia and The Dumbwaiter is pleased to hear that the second outpost of the izakaya will have a Press for Pisco button. Not only has the River Cafe been an inspiration for and educated a number of the leading chefs in London, but now the Harvard Business School is teaching their students about the Hammersmith restaurant. That’s one lecture The Dumbwaiter would happily attend. From Soho to Shoreditch. Click here to read The Dumbwaiter's best bites of the week.